I had a question this week from some guests who are returning to stay in our condo after staying with us last year. They asked a question about other surfing spots in the area, as they want to explore the area. 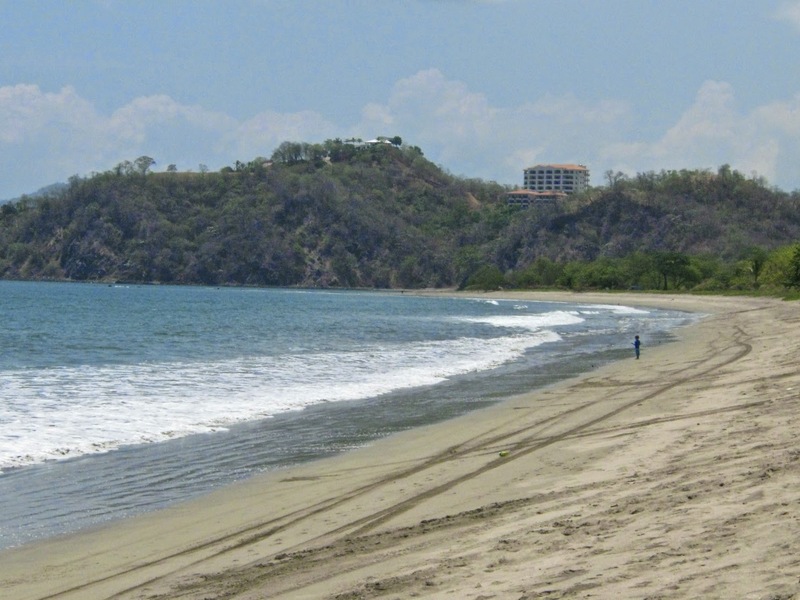 I have done more exploring of the towns and beaches north of Tamairndo, such as Playa Flamingo, which is pictured here. 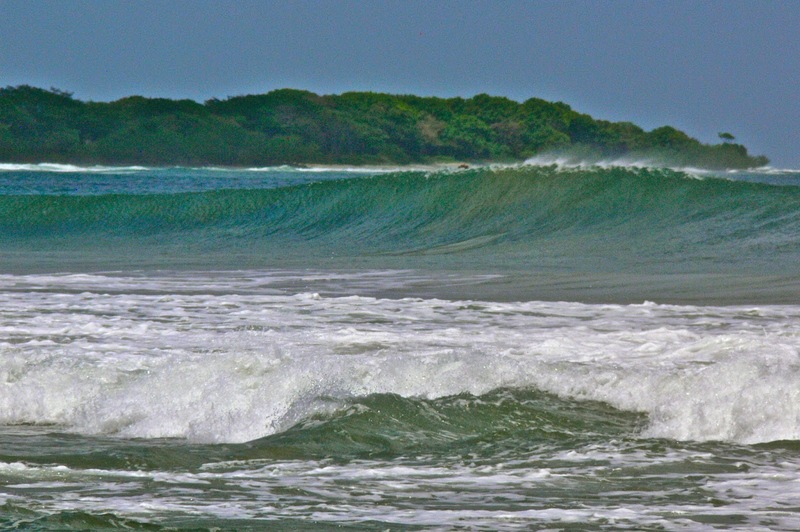 They are more developed than the surf spots south of Tamarindo, which are farther from the Liberia airport and take longer to reach. There are not as many visitor facilities and amenities in the smaller surf spots to the south. I prefer Tamarindo, of course, as it is both the leading beach resort town in the area and has excellent beaches for swimming and surfing. Today is Sunday so we have new photos posted on our Viva la Voyage travel photo site. This week we are showing photos of the Dalmatian Coast of Croatia. This is a view of a wave gathering strength before it cascades onto Langosta Beach. For reasons I do not quite understand, surfers like waves where they can see the spray blow up before the wave breaks, as is visible upon close review of this photo. We have photos of Budapest, Hungary, posted this week on our Viva la Voyage travel photo site. 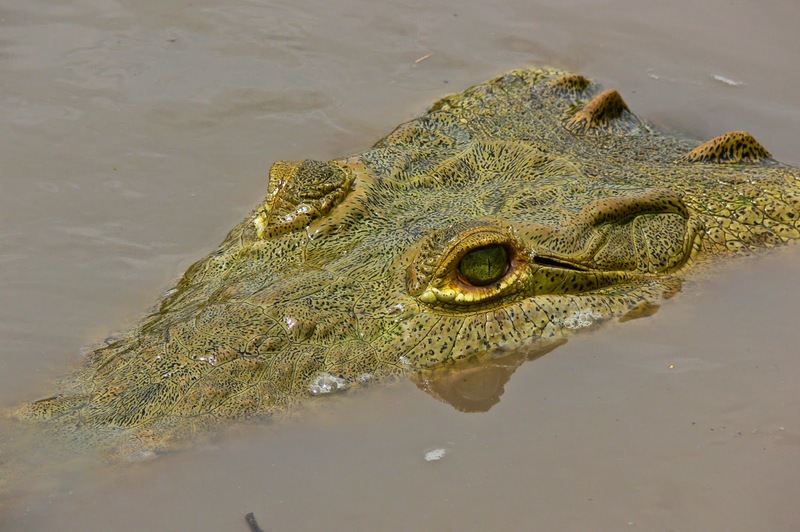 This crocodile lurking in the Tempisque River shows why Palo Verde National Park is a good place to go for wildlife viewing, as long as one keeps your arms and feet inside the boat. Today is Sunday, so we have new photos posted on our Viva la Voyage travel photo site. This week we are showing photos of Budapest, Hungary. The large gate at the front of this secluded beachfront home declares that the name of this house is Casa Pochote. Pochote is a type of tree. 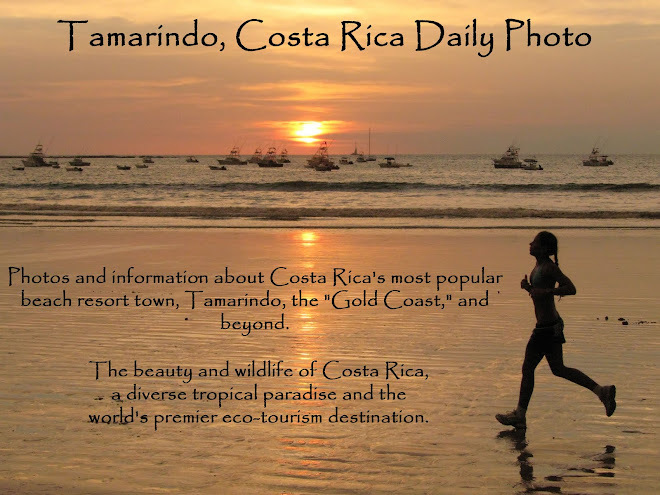 People in Tamarindo name their houses usually when the houses are vacation rentals. I presume that the names help to market the houses by giving them an identity. It also makes them easier to find because Tamarindo does not have any street addresses. Today is Sunday, so we have new photos posted on our Viva la Voyage travel photo site. This week we are showing photos of the marine life in the Sea of Cortez, Mexico. I apologize that I have been so busy lately that I am not posting daily in recent weeks. I will continue to post when I have time, but not necessarily every day. 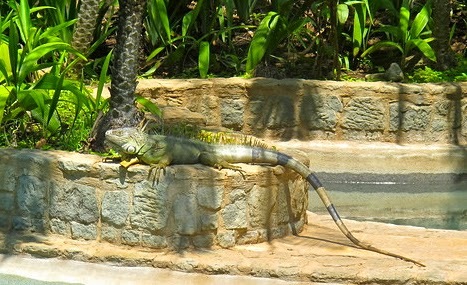 This large iguana was lounging on a wall in the middle of Tamarindo. I am sure he would startle people if they were not attentive to such sights. In the past some people used to eat iguanas, but not any longer. Supposedly it tasted like chicken. Some friends of ours from Phoenix recently spent two weeks in our condo, and this is one of the photos that they took. Today is Sunday, so we have new photos posted on our Viva la Voyage travel photo site. This week we are again showing photos from Bhutan, focusing on the people. A monkey flying through the trees is my Costa Rican interpretation of the theme "Movement" for today's worldwide Daily Photo theme. This howler monkey was part of a group that just a block from our Langosta Beach condo. He jumped from the trees on one side fo the road to the other. This we have posted photos of some of the mountain temples of Bhutan on our Viva la Voyage travel photo site. To see how other Daily Photo bloggers have interpreted the theme of "Movement," please use this link.